Alright! Less than two days after the first run of the engine section alone, I have what I think qualifies as a full, basic train here. It needs tons of more details for sure, but it's a start! With this off the building table for the moment, I now have room to start on another long-overdue MOC while my zoo continues to receive slow & steady updates. 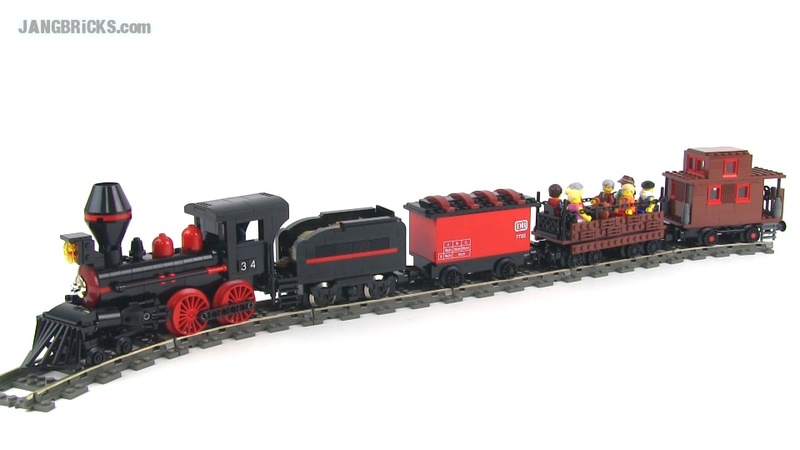 How can I get a manual and brick list on my hands for the steam train version 1, 4-4-0 locomotive? I like this design very much and would like to built it before Christmas 2015 too :-).